Traditional Ayurvedic massage with herbal oil and flowing strokes. Deeply relaxing for the mind and body. Marma points are energy sockets that carry life force (Prana). helps to release tension, toxins and stress from mind and body. Udvartana is organic mixture of cooling, blood cleansing and exfoliating herbs. Massaging these herbs on the body balances Kapha and Pitta dosha and leaves the body refreshed and with glowing skin. Spring and Summer are the best time to enjoy this therapy. 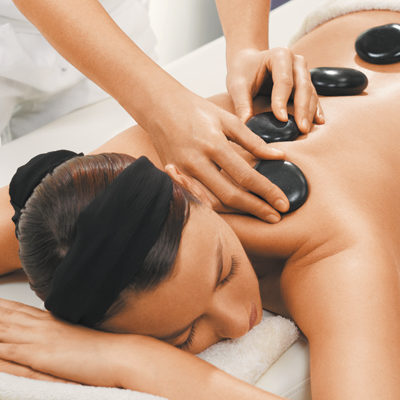 Hot stone Massage with Ayurvedic warm herbal oil and heated stones. An Amazing experience for Fall, Winter season in Michigan. It reduces body aches, relaxes the muscles reducing the stiffness and improves circulation. A whole body hot steam multiplies the benefits of massage and leaves you rejuvenated! In this therapy a cloth dipped in Luke warm herbal oil is dipped and squeezed over the client’s body uniformly and then the oil is gently massaged in. This is highly rejuvenating therapy that invigorates the entire nervous system and enhances muscular tone. Recommended for extremely high vata conditions, arthritis, muscular aches, pains and spasms, insomina, depression and much more. Pinda Svedana is a deeply invigorating massage, involving hot fomentation of the whole body with boluses of cooked rice. Special rice is cooked in herbal mixture and tied in linen bags. These bags are then dipped in hot milk and used to massage the whole body with a warm herbal oil. It is a fantastic therapy for reducing tension on the muscular and nervous systems. Additionally it improves circulation, cleanses the strotas (channels), rejuvenates the skin and prevents premature aging. Shirodhara is a steady herbal oil or other liquids (herbal milk or herbal buttermilk) flow on the forehead for an extended period of time. It is a unique, stablizing therapy for calming the mind. Shirodhara is often combined with Abhyanga and steam, it reduces tensions, headaches and expands awareness. As wonderful is the Shirodhara therapy for Mind and body relaxation, it is known to have its therapeutic benefits on emotional disorders and mental disorders. These consultations assist you in bringing clarity and balance on emotional and energetic level. It facilitates to create a safe and protected space for you to open up and tools to do all of this yourself. Highly recommended for anyone seeking to reduce stress, anxiety, anger issues, depression, grief, attention deficit, lack of focus and energy. Nasya is nasal administration of herbal oil or herbal ghee. Nasya is one of the Panchakarma therapies that works on disorders related to the ears, nose, throat, and eyes. Nasya cleans the sinuses, and is an effective therapy for those who suffer from allergies, sinus infections, headaches, migraines, common cold, cough. It has its own benefits on the central nervous system and hence can be an adjuvant line of therapy in many chronic and complex nervous disorders. Nasya therapy involves massaging the head, neck and face. 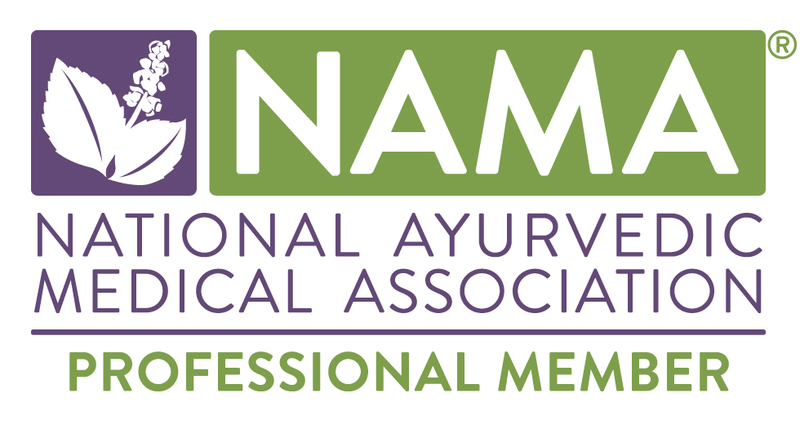 Marma point massage followed by Pinda sweda for the face and then the nasya drops are administered. Kati Basti - Therapy for lower back to reduce, pain and improve the flexibility of muscles. Lower back ache is very common. This specific therapy is for reducing lower back pain and improving the flexibility of muscles in the region. A dough ring is placed on lumbar area and warm herbal oil is poured in it which helps to relax the muscles and reduce the stiffness and pain in that area. It also improves the circulation and works as de-stressing therapy. Same as Kati basti the oil pool is created on the upper thoracic area that helps to reduce upper back and neck pain. Similar to the other basti therapies, in Hrid basti the dough ring is placed on the heart. Most beneficial for reducing anxiety, Palpitation, stress, emotional disorders and helps to release deep seated emotions. Abdominal distention, bloating, indigestion, colicky pain in the abdominal area are not uncommon. This therapy helps to reduce all the above symptoms. A dough ring is placed on the navel area and warm herbal oil is poured in it. Quiet often we accumulate stress and tension on face, which results in sagging of the skin, acne, blemishes, dark circles and loss of luster. Mukhabhyanga is an ayurvedic deep cleansing and nourishing face massage followed by Pinda Svedana (steam with warm herbal pollutice) that helps to clean the face and improve circulation. After which a herbal blood cleansing face pack works on toning the skin and improving the skin complexion. Gentle massage is offered on head and hands for enhancing your experience of relaxation!